Danielle Bregoli became an Internet sensation overnight after her appearance on a television chat show went viral – and David Spade has spoken for every man when he said he’s had enough. 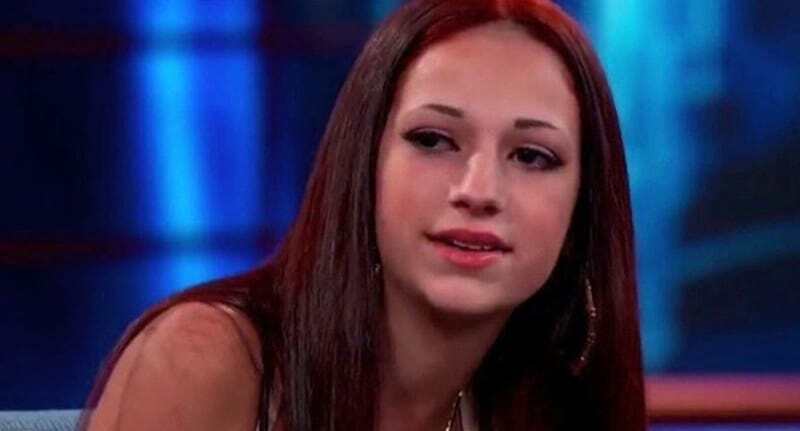 The 14-year-old ‘Cash Me Ousside’ girl has managed to stay in headlines ever since, sparking a debate over the modern concept of being famous for being famous – or for being a young, vulnerable but undoubtedly petulant child. But David Spade – of Joe Dirt and Entourage fame – has just called time on the youngster’s remarkable rise to Internet notoriety, speaking on behalf of a public who’s sick and tired of professional nobodies becoming ‘undeservedly’ wealthy. He posted an Instagram photo of himself – a 52-year-old actor who has worked hard for his dues – alongside the so-called Bhad Bhabie in an LA bar called Catch. A commentary on the fickle nature of fame? A damning indictment of Bregoli’s questionable talent? An undoubtedly witty joke? Whatever Spade meant by his caption comedy, he surely didn’t expect the reaction he got from social media, with commentators accusing him of taking advantage of a young, vulnerable girl. Those who weighed in and came to the defence of Danielle needn’t have bothered. The human-turned-meme famed for her fiery attitude stayed true to form and re-posted the photo, clapping back at Spade. She wrote, “I thought dis guy was the waiter”. Either Bregoli spoke out, responding using playground tactics akin to her age and her infamous tagline, or she is simply lapping up the extra publicity Spade unknowingly gifted. It seems, ironically, Spade’s own post rendered his hopeful prediction incorrect.